Loyal customers are crucial to a healthy turnover. It is not just important to find customers but it is also important to keep them. This not easy these days with demanding customers, increasing competition and growing (digital) channels. It works only if you serve your clients consistently and uniquely through all possible channels. So that they are instantly recognized and always get the same experience; when, where or how they connect .... This is the essence of (Digital) Customer Experience. Read more. Loyal customers are crucial to a healthy turnover. It is not just important to find customers but it is also important to keep them. This not easy these days with demanding customers, increasing competition and growing (digital) channels. It works only if you serve your clients consistently and uniquely through all possible channels. So that they are instantly recognized and always get the same experience; when, where or how they connect .... This is the essence of (Digital) Customer Experience. Why is it attractive for your business? As a company, you are increasingly likely to face terms like "customer experience", "digital customer service" and "customer journeys". But do you know what you do with these terms? Are you able to improve the (digital) customer experience of your customers with the so-called "customer journey mapping"? A distinctive (digital) customer experience has a direct influence on the behaviour of your customers: they buy more, remain your customer longer and recommend you to other potential customers. This behaviour in turn leads to higher sales, retention, market share, and finally to realize your financial KPIs. 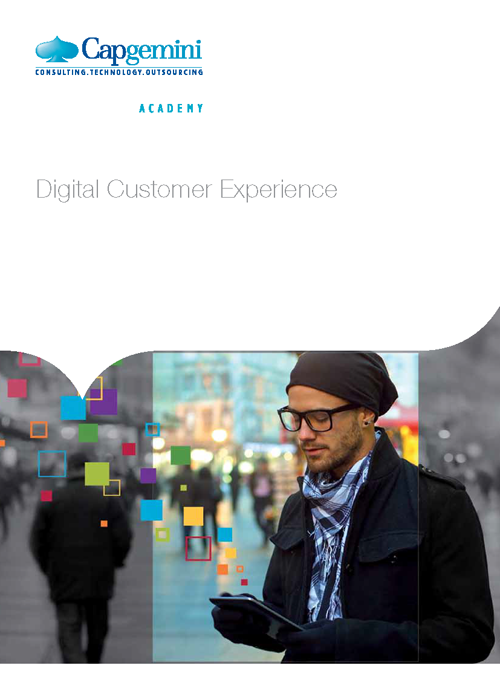 Capgemini will support you in achieving a distinctive Digital Customer Experience. We achieve this with our vision of customer service, the business case for digital strategy and a practical roadmap, conceiving and realizing new customer journeys and digital customer service. We have brought together all our international knowledge on Digital Transformation, Customer Experience, CRM, eCommerce and digital marketing and campaign management. Capgemini can transform your organization into an efficient and streamlined digital enterprise together with our technology partners and our hands-on experience in online and mobile. Read more about this in our leaflet. All our Digital Customer Experience trainings at a glance! Check out all our group courses, at daytime or in the evening, starting shortly.